I am getting desperate, seems to be a pork pie famine in Dubai. I’ve tried Park and Shop (DIP and Al Wasl), Waitrose and three branches of Spinneys. They don’t even have those questionable frozen Stobart ones...anyone come across any at all? Secondly - there were some in Waitrose Al Thanyah at the weekend I believe. I'm almost certain I saw slices of pork pie (rather than little round ones). The Choits in Shorooq has recently closed down the infidel section. I was thinking of having some kind of protest but couldn't be arsed. The cheek of it though. 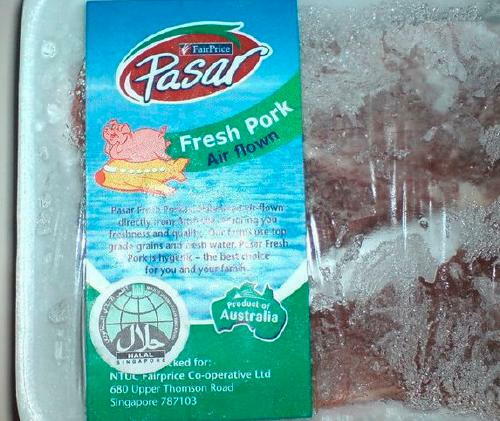 Just a thought does the pig have to be halal ??? Cheers for the heads up on Waitrose. I shall have a little outing this weekend. Was in park and shop at DIP yesterday and the fridges were full of em.